Improved response for FIR2 filter which will be modified to be pretty soft…. 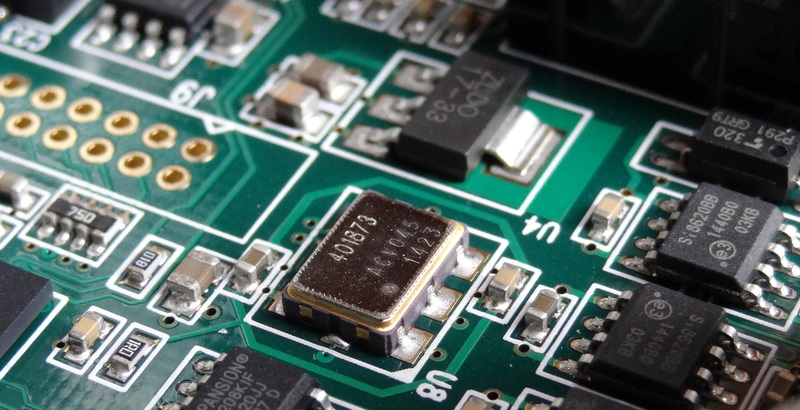 The dam1021 DAC “raw” audio output is DC-coupled. The signal out of the resistor ladder passes through a low pass RC filter consisting of a 1200 pf ceramic NP0 type (“audio” grade), and the -3db point is at ~250 Khz (different values have been reported but at this cutoff, it doesn’t really matter to the audio frequencies). Output impedance: 625 ohms, purely resistive. The buffered output can be used single-ended or balanced. It can drive high impedance headphones directly. Actual power consumption has been measured to be 2.4W. Power goes though a diode bridge so polarity doesn’t matter. Connector is MTA156 type. 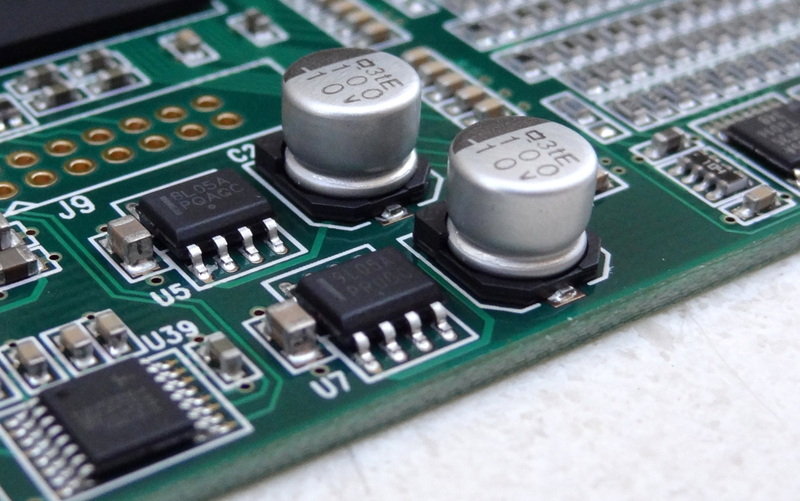 Upper limit of 16.5V, based on capacitor voltage and also to limit loss in linear regulators. 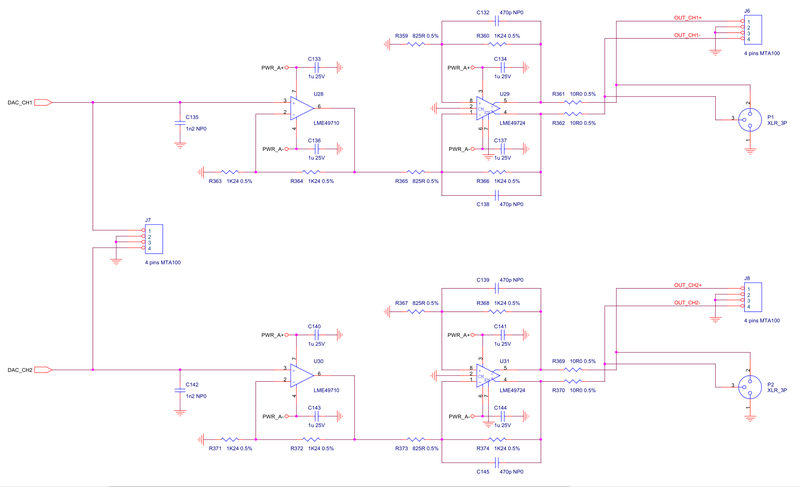 Lower limit of 7.5V, based on loss though diode bridge and 5V linear regulators. Taking into account line voltage tolerance and transformer no/low load voltage, this results in the 7-8V AC requirement for transformers. The positive supply draw about 3 times as much current as the negative; the current is almost independent of input voltage. Good thing it is implemented next to the clock of all places. The most critical supply is the +/- 4V reference for the resistor ladder. This is generated by a “two step, first to +- 5V (by linear regulators), then to +-4V by precision low noise medium current opamps”; “-4V reference is sent though an inverter with 0.01% resistors generating the +4 reference”. The references are further “filtered and buffered for each rail and channel”. The 8L05A and 9L05A are +5 and -5 Linear regulators [link]. 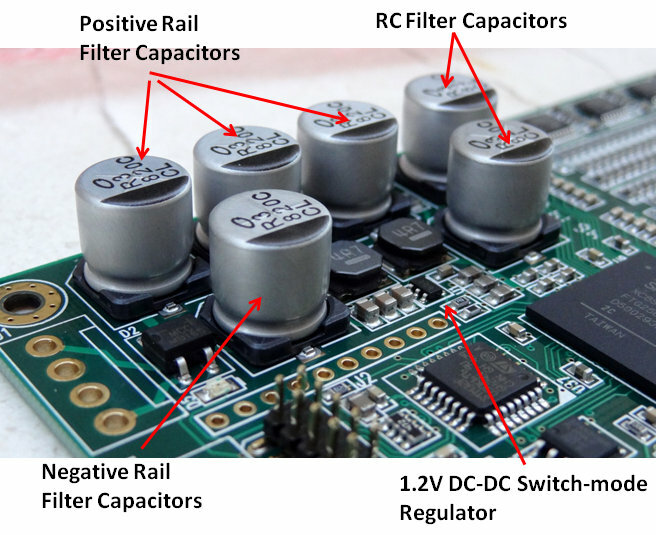 Input to these regulators are the +/- rails (which could be 7 to 15V regulated or unregulated) . The outputs are filterd by 100uF capacitors. FIR1, upsampling from incoming sample rate to 352/384 KHz in one step, with different filter length based on incoming sample rate. All FIR1 filters are basic Parks-McClellan “brick-wall” types, designed with http://t-filter.appspot.com/fir/index.html, but still shorter than your regular DAC. FIR1 is automatically bypassed if feeding 352/384 KHz data. IIR, bank of 15 bi-quads operating at 352/384 KHz, with one used for the CD de-emphasis filter, none otherwise used for the basic DAC. FIR2, upsampling from 352/384 KHzto 2.8/3.1 MHz, reasonable short and soft but still using same design as FIR1. All filters are using 32 bit coefficients, with up to 67 bit MAC accumulator. I’m not a believer in no filters (non oversampling), but also don’t like the sharp “brick-wall” filter types with the pre-ringing. The goal is to work towards filter types that remove just enough to not cause problems with aliasing. It’s pretty easy with higher sampling rates, but is long and hard work and listening tests with 44.1 KHz, which still are the sample rate mostly used…. All upsampling is done by zero insertion, therefore gain needs to be set to match oversampling rate. The dam1021 have 2-4 bit of headroom though the digital filters, all the way until the volume control. So any clipping would be because of incorrect filters. Not that practical, would require > 3000 taps. In addition, the intermediate frequency is good to have for the CD de-emphasis and crossover filters. 352K/384K is as a good compromise for the intermediate rate, so there is space for enough IIR filters for crossover use and room correction. If you go up you get less IIR filters. # filters = 45M/49M divided with intermediate rate divided with 8 = 16. FIR2 is operating at 2.822M/3.072M and can have up to 120 tabs, with input sample rates 352.8K/383K. The FIR2 filter don’t require much, I’m looking into doing a bessel or butterworth type filter there. The clock in the dam1021 DAC is the Si514. This the lower grade of programmable clocks from Silicon Labs (.8 psec RMS jitter) [link], and according to Soren, it is well matched to the system as a whole. It is also used instead of the Si570 because of lower power consumption. 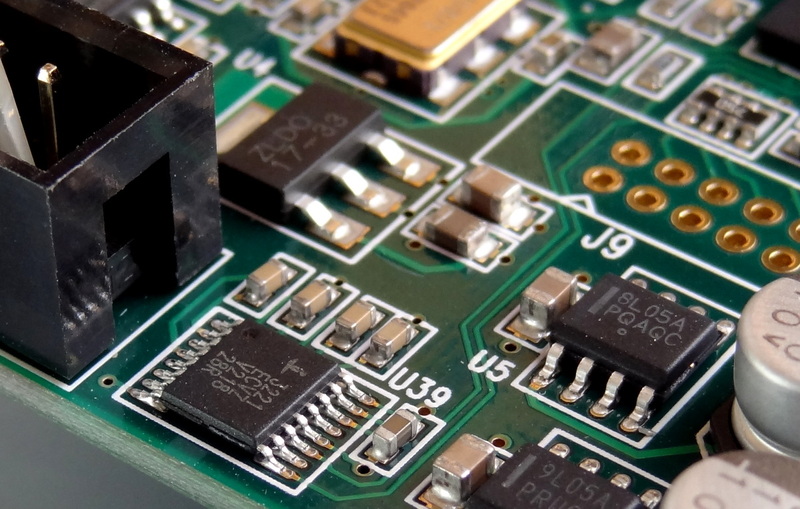 Same master clock output is also used when connecting multiple DAC’s, for example for digital crossover applications. Jitter reduction is accomplished with signal reclocking through a short FIFO. The data is received into a configurable FIFO and then it is reclocked with a lower jitter clock, eliminating most of the incoming jitter. Ian’s FIFO use a fixed clock, and therefore use a large buffer to take up the difference between incoming and outgoing clock. That add a large delay, which doesn’t matter for simple audio applications but are undesirable in a number of applications, like home theater or live music. I use a much shorter FIFO, selectable down to 1 mS, and instead adjust the outgoing clock to match the incoming clock frequency as needed, being I2S or SPDIF. The Si514 oscillator used is very low jitter and digitally programmable with a resolution of 0.026 ppb (parts per billion, not million…). It also have the feature that reprogramming inside +-1000 ppm is glitchless, ie the clock adjust very nicely to small changes. The Intersil ICL3221E devices are 3.0V to 5.5V powered RS-232 transmitters/receivers which meet ElA/TIA-232 and V.28/V.24 specifications. Additionally, they provide ±15kV ESD protection on transmitter outputs and receiver inputs (RS-232 pins). 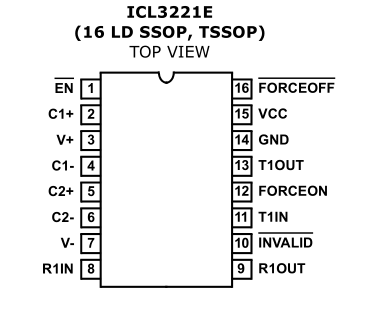 Valid RS232 levels are >+2.7V and <-2.7V according to the datasheet. Strictly speaking is > +2.4V and < -2.4V but under +/- 2.7 V it may trigger the auto power-down. Notice that pins 9 and 11 are the TTL level serial lines to/from the FPGA. The chip convert those signals to RS232 compatible levels and provide the robustness of the RS232 standard. The chip has an automatic power-down function for noise reduction. 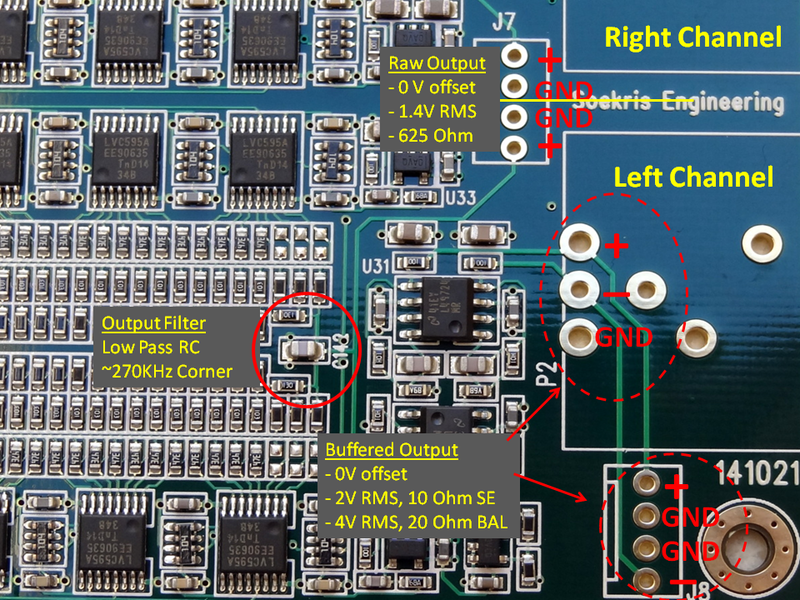 When no valid RS-232 voltages are sensed on the receiver input for 30µs, the charge pump and transmitters power-down, thereby reducing supply current to 1µA. 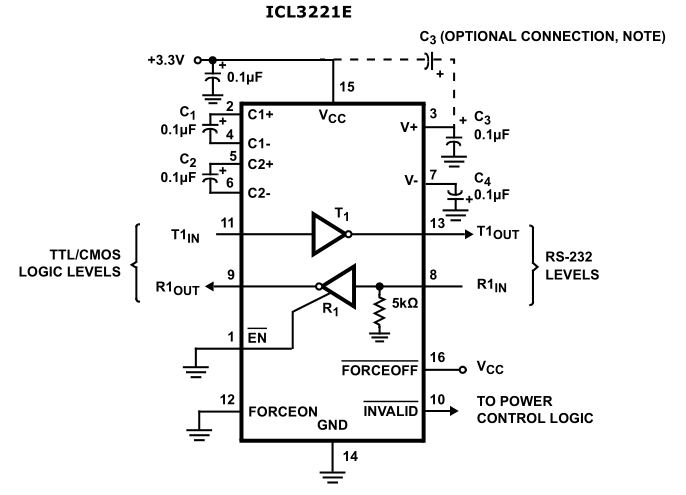 The ICL32xxE powers back up whenever it detects a valid RS-232 voltage level on the receiver input. This automatic power-down feature provides additional system power savings without changes to the existing operating system. The chip is a drop in Replacements for MAX3221E, MAX3222E, MAX3223E, MAX3232E, MAX3241E, MAX3243E, SP3243E, meaning it should be fully compatible with USB interfaces implemented with those chips. On post #1147 by Soekris says that left/right label are inverted on schematic – so I guess P1 is right and P2 is left. I’m waiting the filter cascading for balanced use, to build a fully discrete balanced dac/headamp. I guess you’ve seen dimdim forking your code to build a controller ( #994 ) ? Did you contact him or plan something like this ? Thank you thank you thank you! Just saved me a few hours trawling through the topics on DIYAudio. How exactly do we do that? what kind of cable do we need? You’ll need some inexpensive USB to Serial adapter. Nevermind… Soren confirmed it works on 5V signals for the serial port. We may need one of these TTL – RS232 convertors? Did you pursue getting this cable? Did it work? Looking for a smaller/neater way than the Keyspan USA-19HS I use. No I have not. Soren indicated that he will enable the isolated serial interface in the next revision of the firmware. So far I am very happy with the standard filters and having iTunes upsample to 192KHz. wow, really thanks. I thought I need to find a RS232 port. I think I have the same device (described in the link) somewhere. I’ll try it and see if it works. A real RS232 port would be guaranteed to work. 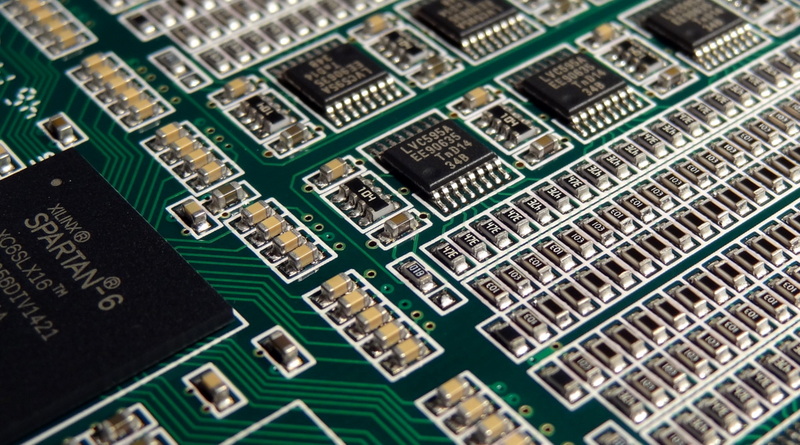 The DAC board has a separate chip just to handle the RS232 protocol. Can you confirm successful use of the Adafruit device described in the link with the Soekris DAM1021? I noticed that some people were having trouble with other random adapters. Would a pickit 2 do the trick? The wiring diagram has a small mistake – RCA SPDIF GND is drawn to PWRLED, but should go rather to GND, no? 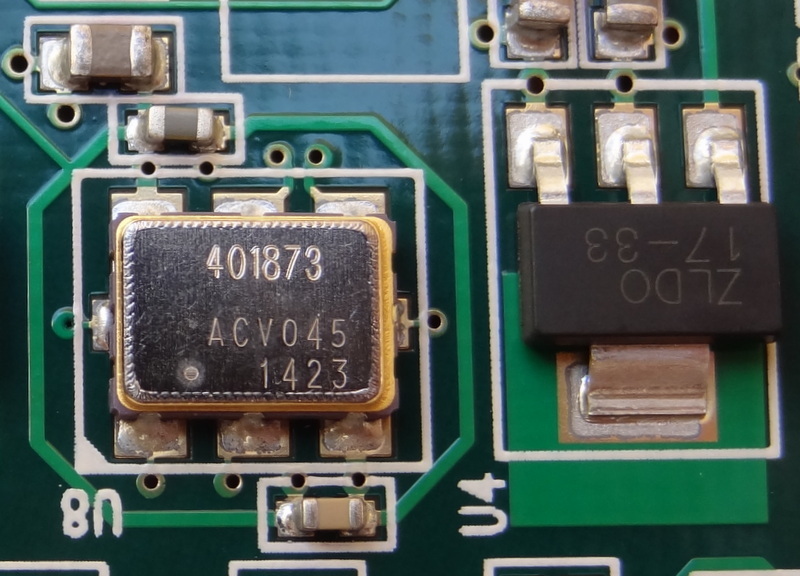 Worth noting that the Si514 XO has an onboard LDO which is intended to make it relatively immune to PSU noise. The specs mention a jitter increase of 3.5ps with a 100mV sine wave applied to the power pin. Thanks ! Great summary ! Looking forward to read [hopefully 😉 ] about your listening impressions, esp. 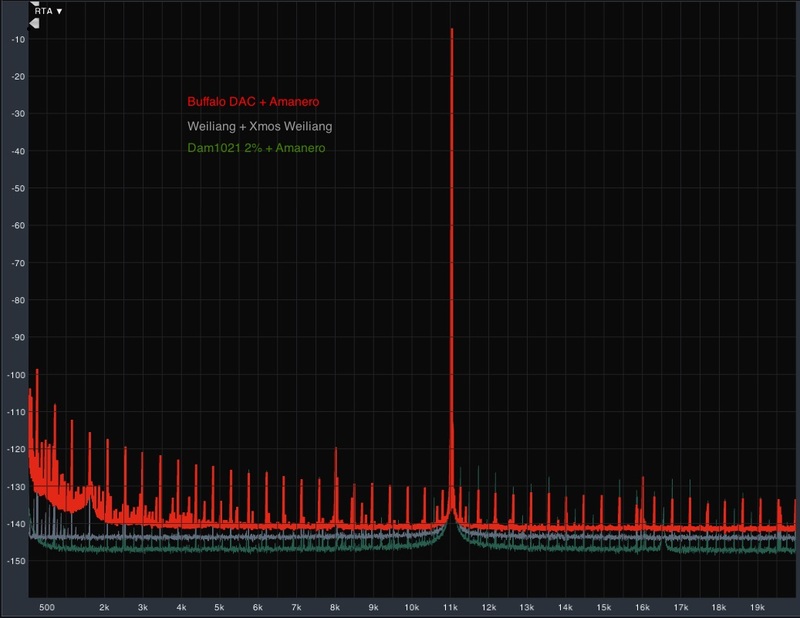 in comparison to ES9018/Buffalo DAC. please try to measure distortion with DC offset such as 50%,25% of FS. Thanks a ton! May be this is a funny question here but could you explain more about output? I am very confusing because there are three way to get the signal out? And what is the different between raw and buffer output? I added a diagram to the post. You can use the raw output into high impedance equipment such as preamps and amps. The buffered output can power headphones directly, but it is there mainly to provide a balanced output. Perfect visualisation, thanks a lot Big Gear! Excellent reference – thank you. Have you powered your board from the J2 A+ and A- pins? Any difference in sound? I’m curious too as to what 12V regulated supply you are using…care to share? I can’t seem to find a link anywhere on the site to it…..
still can’t find it…do you have a link? What 12V ps are you using? Awesome blog!! I have started a new thread over on Headfi and have shared some of your information – I hope that is OK? Will order a board soon to begin a DAC build project. has anyone spotted the +/-4v regulation system? What if I have only 10VDC at J2, is it too low for dam1021? I wonder if the jitter measures on the Amanero/BIII had an isolator, the other two contenders have isolated inputs and by experience I know a free DIYINHK isolator board instered between the Combo384 and the BII/III can make a huge difference in many ways. I didn’t measure jitter but I measured a +6dB increase in SNR with it inserted in the path and I guess that USB noise can get into other areas. An isolator typically adds jitter (~100s psec), but reduces unwanted noise. Wouldn’t it add jitter only if one is using the Amanero’s XOs? If the onboard BIII is being used there should be no increase in jitter, right? In theory, the BIII on board clock would “eliminate” the added jitter. I think jitter measurement is very hard. There are many factors involved including your test set-up, etc. Great writeup. One minor nit. In the Reference Voltage Supply section, it says “-4V reference is sent though an inverter with 0.01% resistors generating the +4 reference”. I do not think this is correct. There are actually 4 opamps. Two generate +4V, and two generate -4V. These four voltages feed the 4 rows of shift registers. -4V connects to the SR gnd pin, and ground connects to the SR VCC pin, if you’re wondering how you power a SR with -4V. 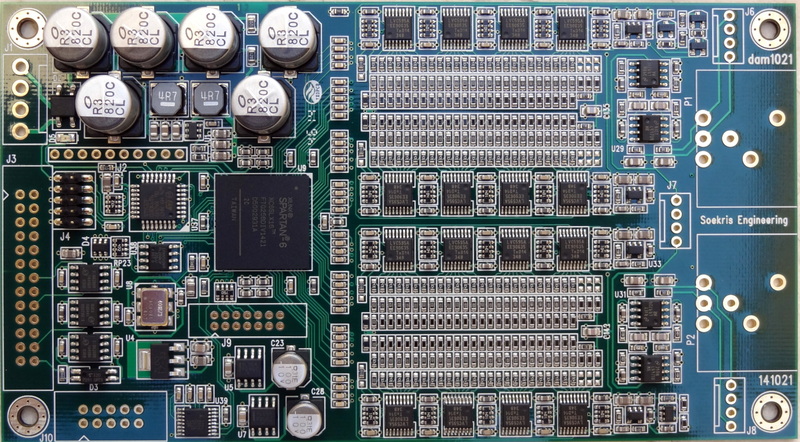 Original purchasers of the rev 1 dac boards purchased them assuming, based on the initial sales pitch, that they were finished, tested, functions as advertised, products. Only afterwards did Soekris Engineering admit they were beta tests boards with design issues and did not live up to his initial claims. He has refused to offer any refunds, credits, etc. despite a classic bait and switch. 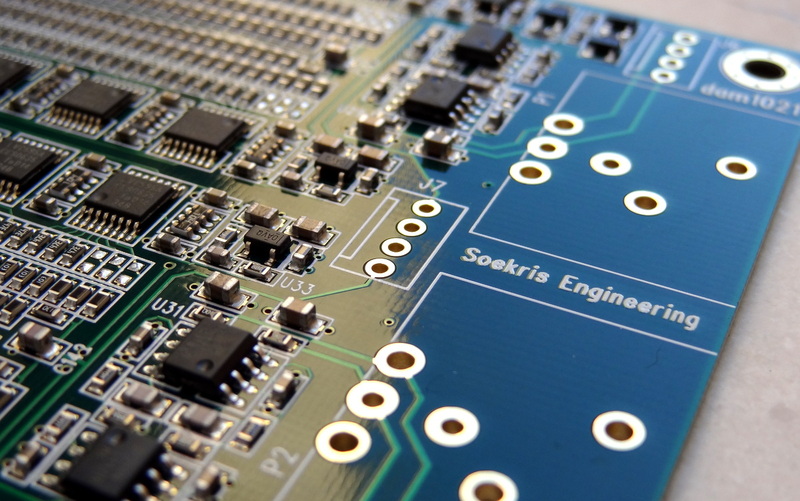 If you were a victim of Soekris Engineering’s dishonest business practices, contact me. Can I simply say what a reduction to search out someone who actually is aware of what theyre speaking about on the internet. You definitely know the right way to deliver a problem to light and make it important. More people must learn this and perceive this facet of the story. I cant believe youre not more common since you positively have the gift.